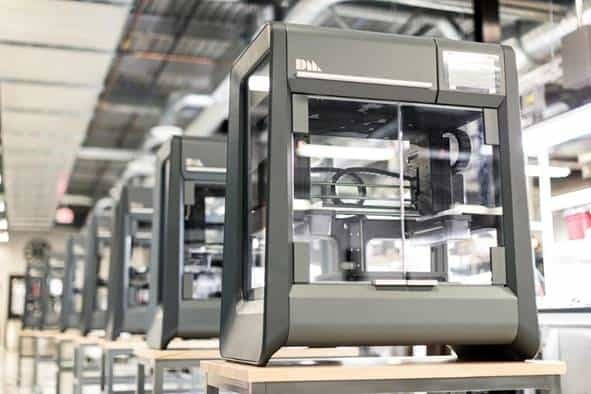 Massachusetts-based metal 3D-printing startup Desktop Metal announced Monday that it’s now shipping it’s printers to customers in its “Pioneer” program. These first printers are from its Studio System, which allows in-office printing of metal parts in a fast, effective manner. The first group to receive a printer is Google’s Advanced Technology and Products Group. Other customers include the US Navy, Built-Rite Tool & Die, and Lumenium. “This marks the first time our team will be able to use metal 3D printing for rapid prototyping of our hardware parts,” David Beardsley, manager of Google’s ATAP said in a statement. Desktop Metal’s founder and CEO Ric Fulop told Forbes that the company has received hundreds of orders for its system, which has an appeal similar to that of plastic 3D-printers – it doesn’t require any specialized facility or equipment to use. One of Desktop Metal’s Pioneer customers is Lumenium, a Virgina-based manufacturer that’s working on new designs for combustion engines. For one particular part of their engine, the company worked with Desktop Metal’s engineers to determine if there was a way to use its printers to streamline its industrial process. According to the company, using Desktop Metal’s printer allowed them to produce the part over twice as fast and for less than 20% of the cost. This type of case study is something the company aims to highlight more as it begins shipping its printers to previous customers and then expanding its operation more. By the second half of 2018, the company aims to have its production-scale 3D printers on the market, which would allow manufacturers to use its systems for even more applications.